Functional design is timeless so I hope the look of the 458 Speciale grows on me because this is the direction sports car design is headed. With so many new vents and winglets on the car, I’m struggling to find the beauty so abundant in Ferrari’s previous mid-engine specials like the 360 Challenge Stradale and 430 Scuderia. The 458 Speciale’s radical modifications relative to those found on the Stradale and Scuderia signal one thing: the competition is growing fiercer. As mentioned by Chris Harris when he drove the 991 GT3, large sports car manufacturers like Porsche, Ferrari and McLaren simply can’t launch cars that are slower than their predecessors. As the performance envelope continues to escalate, design will increasingly give way to function (note the rise in popularity of hood mounted air extractors like the Speciale’s shown above). 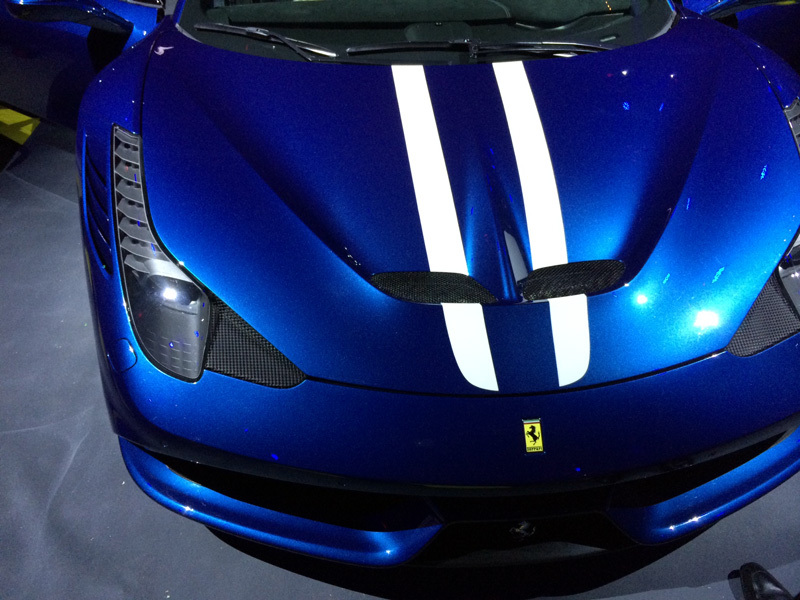 So while I’m not a huge fan of the Speciale’s awkward aero, I appreciate the impetus behind it. You can’t see those bits from the driver’s seat anyways. Evo assembled an impressive collection of supercars spanning the last 25 years as a farewell to the analogue era. There are definitely some questionable entries in the group with the Murcielago SV and Noble M600 (seriously? ), but Evo is British so let’s just leave it at that. The McLaren F1 or F40 may be the defining cars of the era, but I would be hard pressed to take either over the Carrera GT. A poster of the Carrera GT still hangs in my childhood bedroom. 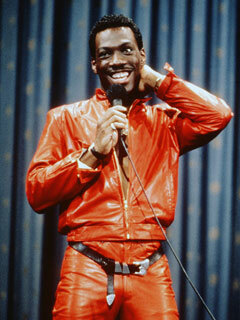 Eddie Murphy owned the late 80’s and early 90’s. He could do no wrong. His movies were huge, and his comedy was on point, as were his skin tight leather outfits. One of my favorite bits from his Raw stand up revolved around the line “what have you done for me lately”. Eddie laments how demanding the women he’s dating have become. They’re always wanting more from him. But of course, Eddie obliges because he gets things from them in return. It’s a mutual relationship, and it makes sense. People’s attachment and fanaticism for a particular automotive brand has always struck me as the ultimate one-sided relationship. If you considering yourself a diehard fan of a particular brand but you can’t rationalize buying any of the cars they currently sell, you should probably ask yourself, what has this brand done for me lately? Are they still the same brand? Do they really deserve your undying allegiance? The answer is most likely no. There are so many factors that go into developing a car, those within the company (particular employees, resources and technology) and those outside the company (consumer and safety/environmental) which just happened to coalesce into the perfect storm that resulted in your favorite car. These ingredients are constantly changing. Successful marketing would have you think otherwise. Win enough races 20+ years ago or simply survive long enough, and you should have amassed a horde of appropriately vintage footage from which to cherry pick the defining moments of your brand. Yet, this implied continuity across the entire brand and over time is simply unfounded. Brand loyalty is generally a bad thing. It encourages complacency and lessens accountability for brands because people will buy their products regardless of individual merit. People often mistake a good product for a good brand. While it’s important to appreciate the past to understand the present, it doesn’t mean you have to be tied to the past in the present. Most car companies certainly are not. Fanboys should take note.